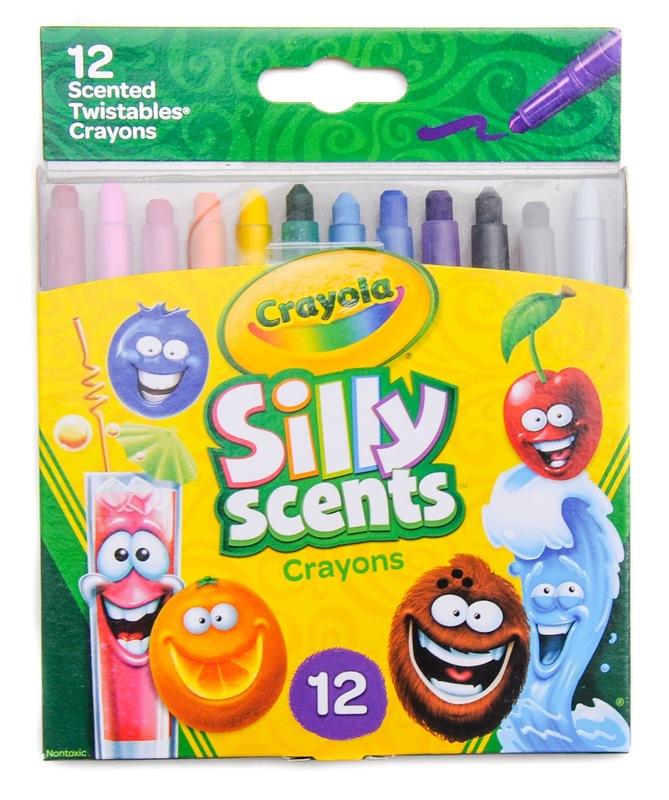 I am SO excited to review the 2017 Silly Scents line from Crayola. I received these items from Crayola. 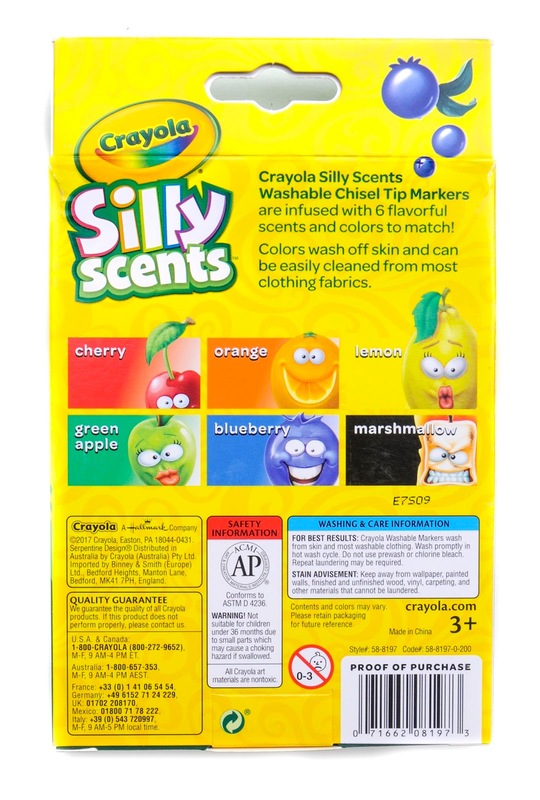 The Silly Scents line was introduced during back to school in 2017. The lines includes: chisel tips markers, Twistables Crayons, Twistables Colored Pencils and Slim Markers. The scents are mostly food items and outdoor scents. The activity sets (not pictured here) will include eight stinky smells, including Old Shoe and Garlic and eight sweet smells. They will be available at Christmas time. 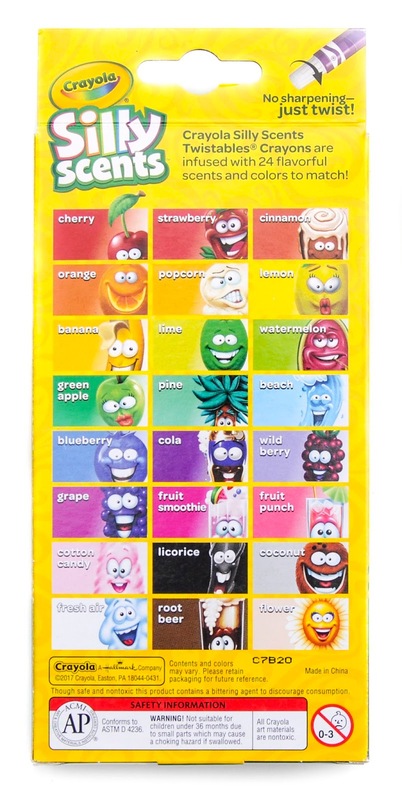 The Silly Scents line is similar to the Doodle Scents line in that it includes faces on the front on pictures of the different scents. 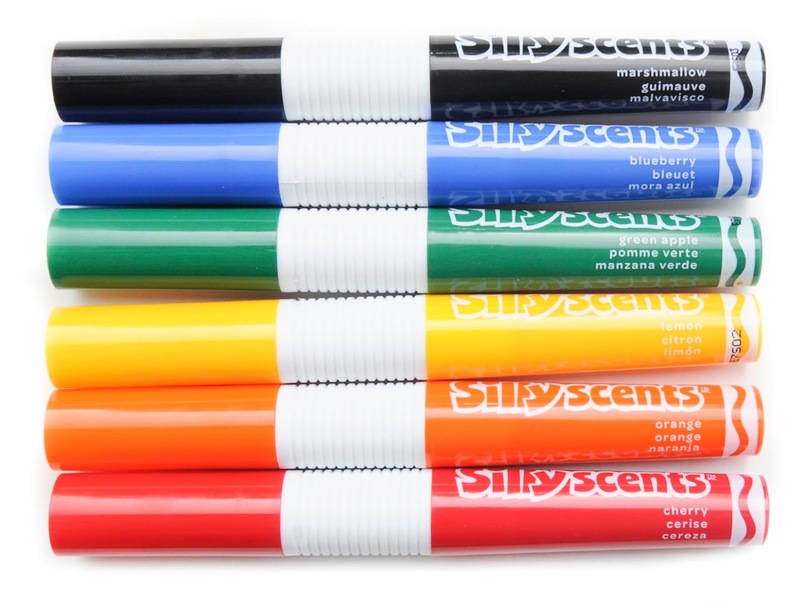 There is also a Silly Scents Marker Maker! 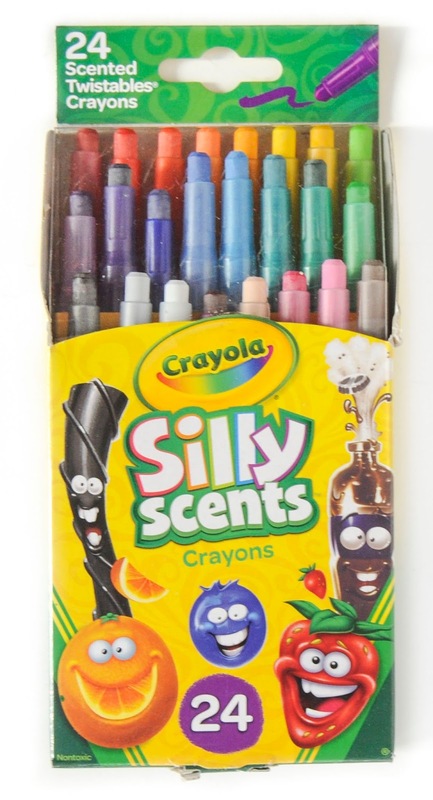 Crayola has been making scented art supplies for years now. They started with the Magic Scents line back in 1993. 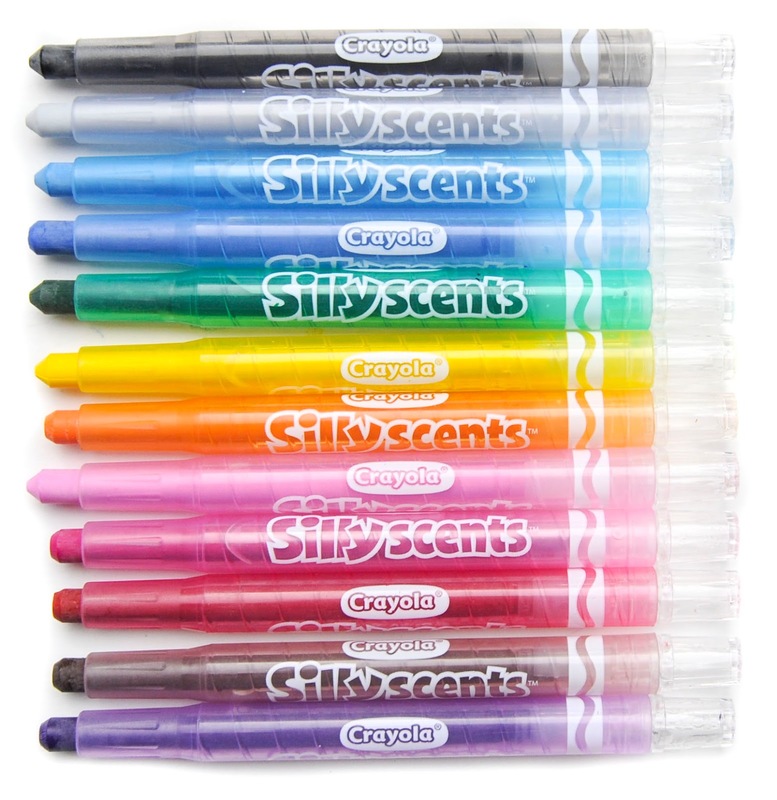 The magic scent line consisted of many of the same colors in the Silly Scents line. The crayons came in 8 and 16 count boxes. The 1993 Magic scents had food items, the 1994 set had non food items in it to prevent kids from eating the crayons. 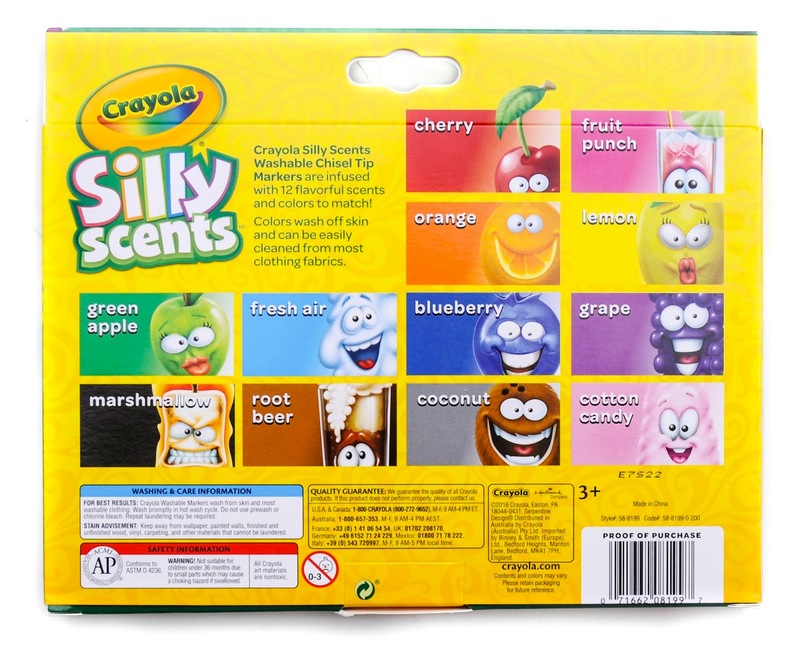 This 2017 Silly Scents line has a bittering agent added to the crayons to discourage consumption. 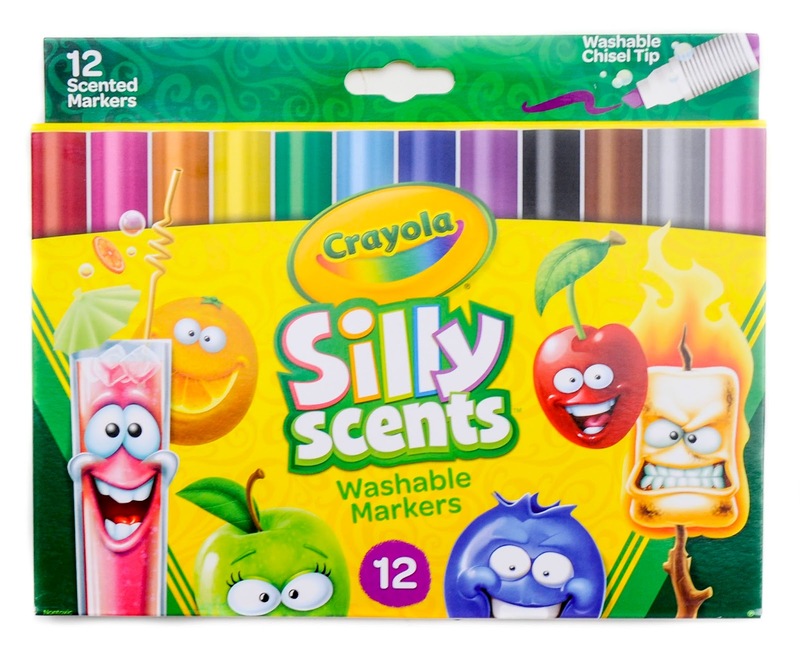 I am so excited Crayola is making scented crayons again! 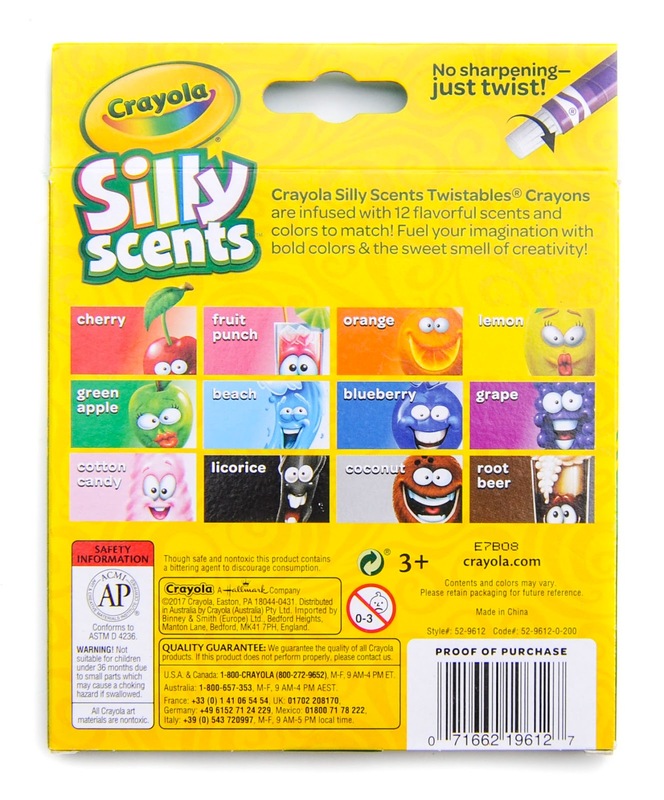 In 1997 Crayola came out with Color 'n Smell crayons. 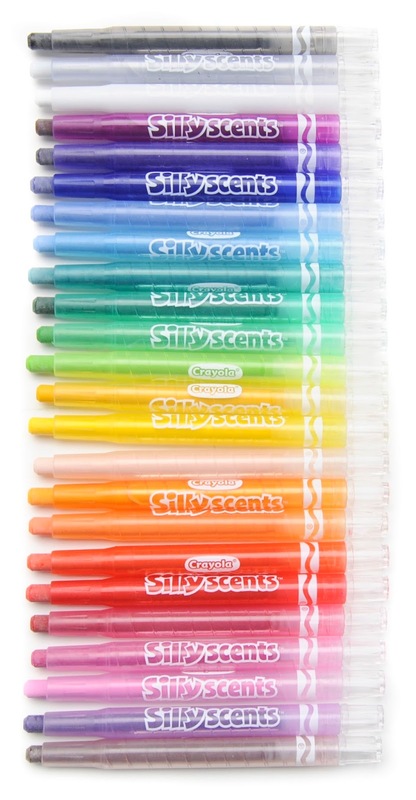 These were scented non food crayons. 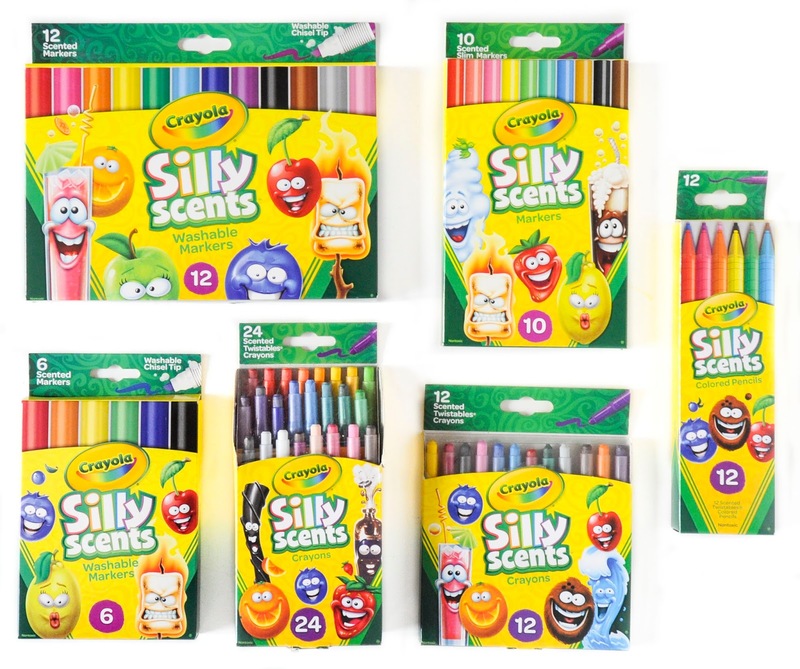 In 2006 and 2007 with a Silly Scents line which included crayons, markers and colored pencils. This silly scents line was very silly. It had gross smells in it, ie alien armpit and ogre odor. This is very different than the current line except for the activity sets which will come out later this year that will include stinky smells. 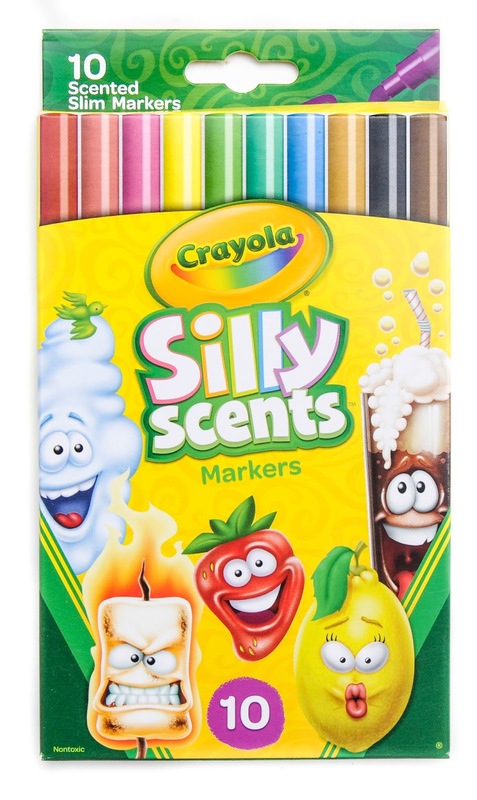 Crayola has been making scented markers for a while. It had been including them with SuperTips Markers. Over the last couple of years they introduced the Doodle Scents, Pip Scents, Powerlines and Scented Mighty Marks. What did I think? I loved using all of them. 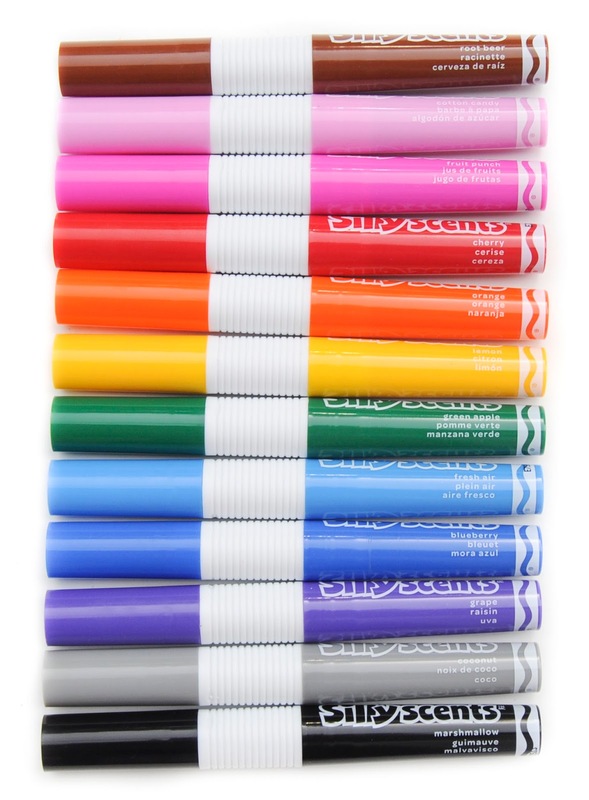 Scented crayons, markers and colored pencils are some of my favorite things. They take me back to when I was young. And they are a hit with all my preschool kids. They always go for the scented markers and crayons. When I opened my package I could definitely smell the scents. 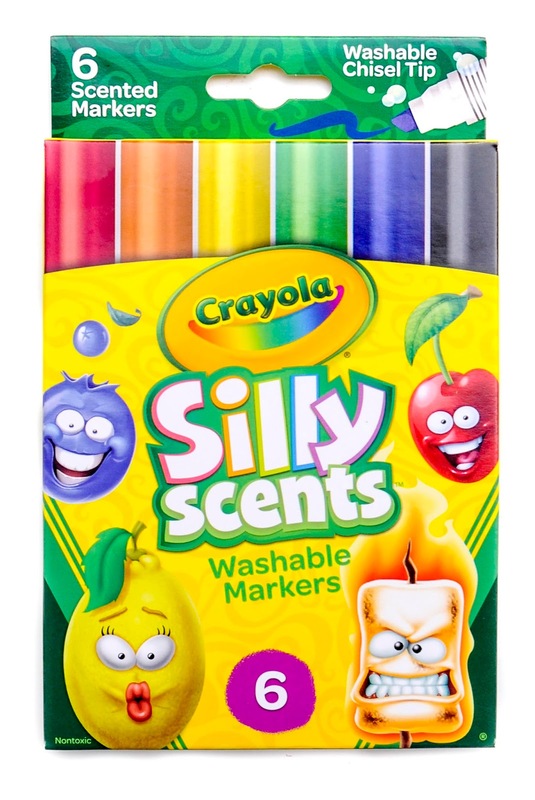 I have gotten scented crayons and markers from Crayola before and these were definitely the strongest smelling packaging. I think it is the Twistables that smell. It was a pleasant smell, like opening a box of fruit loops. The colors were very vibrant and the smells were mostly very strong. It seemed the crayons were not as strong at the colored pencils and markers, but they were still smelly. 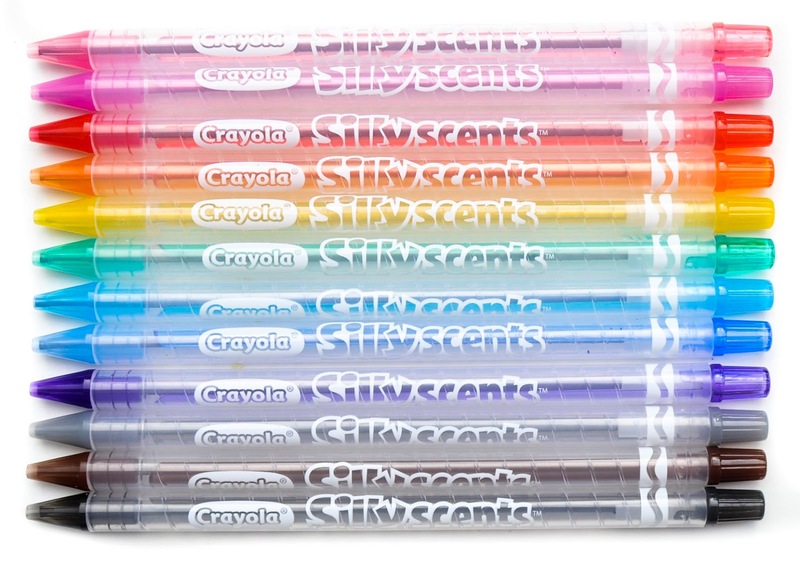 My kids loved the crayons and we will happily use them and I am sure they will be a favorite. My favorite will probably be the Slim Tip markers and the colored pencils. Other boxes: These are all the current boxes. There are activity sets: Gone Campin' and Goin' to the Beach. 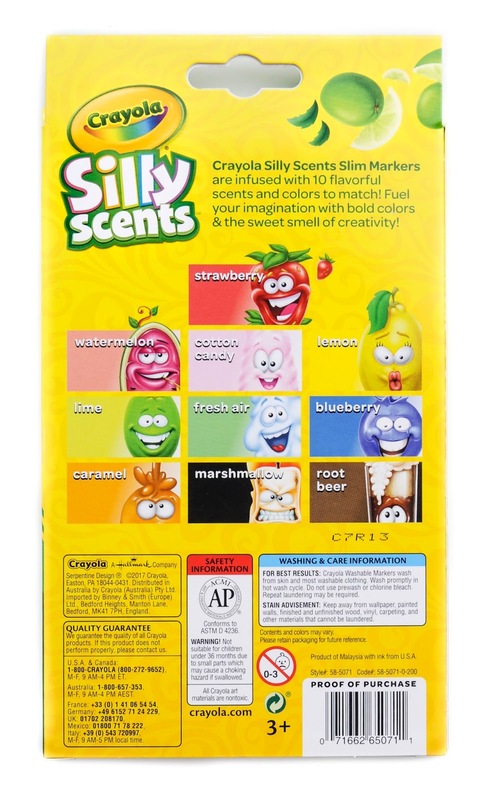 There is a Silly Scents Marker Maker toy with Cherry, Blueberry, and Pineapple scents which will make 16 markers. Nice review, Jenny. 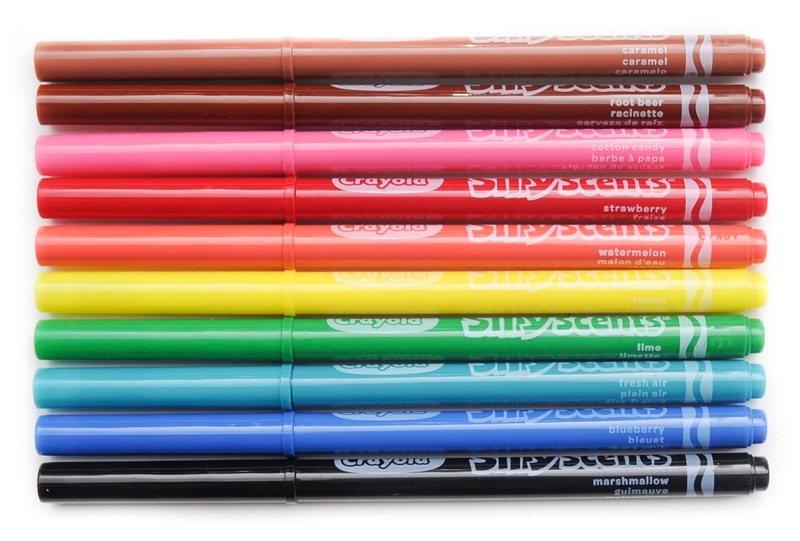 Wish they put the color names on the Twistables crayons as there are some unique names. Oh well. Me too. That's my biggest wish at times. I live color names on crayons.